Sigelei DP Sub-ohm Tank Atomizer is a sub-ohm atomizer with various coil type options. The sub-ohm tank also supports RBA coil which enables you to make your own coils. Its easy top filling design and adjustable bottom airflow system make your vaping very convenient. And the 3.8 ml tank capacity provides vapers with long vaping enjoyment. The Sigelei DP Sub-ohm Tank Atomizer will never disappoint you. Sigelei DP Sub-ohm Tank Atomizer is a sub-ohm atomizer with various coil type options. The sub-ohm tank measures 24.8mm with a solid base and large e-juice reservoir which enables you to vape throughout an entire day. 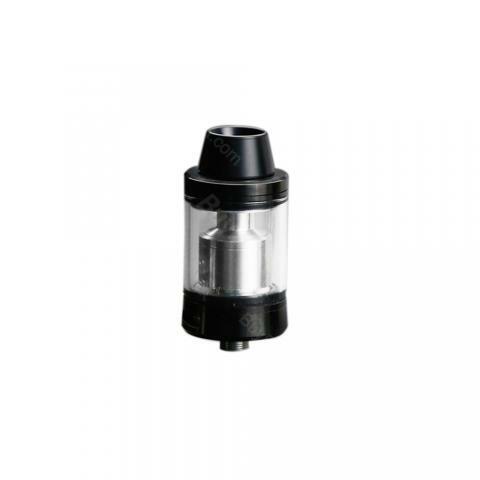 Sigelei DP Subohm Tank Atomizer also supports RBA coil so that you can make your own coils. Its easy top filling design and adjustable bottom airflow make your vaping very convenient. Sigelei DP Subohm Tank will never disappoint you. • No e-juice included. You can select the e-juice separately. • You can buy Replacement SM coils. Die Lieferung erfolgte sehr schnell.Sigelei DP ist sehr chic und optisch ansprechend.